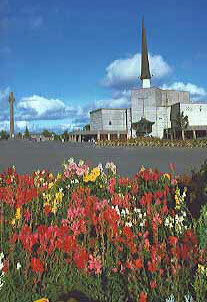 The annual SMA Pilgrimage to Our Lady’s Shrine at Knock takes place on Saturday, 28 May, the ninth and final day of the Annual SMA Novena in Honour of Our Lady. This, the 31st pilgrimage, will be led by the SMA Provincial Leader, Fr Fachtna O’Driscoll SMA. Ceremonies begin at 12.15pm in the Basilica. Come and join us….. The SMA Novena of Prayer in honour of Our Lady of Knock began on Friday, 20 May and will conclude with the ceremonies in Knock on 28 May. Pilgrims will come from all over the country, by car, bus and train.